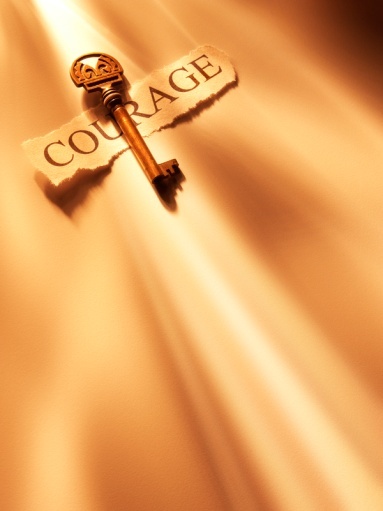 It’s courage that counts ! For investment decisions it could be useful to shift your focus from best practices (since you only will be second best by applying them) to next practices. With ‘follower’ risk free investment you will never earn lots of money. That’s because you weren’t the first. Try instead to ask a different question: would it be possible: to minimize risk on the one hand and to maximize the investment output on the other hand just through being better informed? To explore new worlds and opportunities go where no one has gone before and step off the usual and familiar way of analyzing and decision making. Move on as a first mover towards new forms of investment analysis. Here, two suggestions which easily can be implemented today using the Internet. Suggestion one: become a crowd funder and invest money into a talented young artist, whose art lets your heartbeat raise. Or consider a talented violin player who desperately needs a new instrument but has no possibility to finance it on his own. Or maybe an innovator would be an opportunity for you in order to finance his own prototype. These types of investment might even open you the door to the fame! Moreover, If you and I decide today to do so, the money starts moving on and before you know a new P2P social bank has been introduced. Internet offers you plenty of opportunities to make this true. Suggestion two. Ask for the advice of a psychologist on how to collect necessary information prior to investment. Why ? It has been proved that split second facial expressions show the true emotions of everyone, a feeling which remains invisible in everyday life but is nevertheless being monitored by you and me on a subconscious level. Security and State Intelligence Services already use these methods in their interviews and judges, for example, are being trained on these techniques as well. High speed cameras can catch these split second emotions and, obviously, what the person really thinks and feels. What can you do with this information? Don’t be satisfied with just officially presented information on the Internet or with just written information. By doing so you limit your own information and opportunities. What can be done then? Videotape the announcements of the company and watch them frame by frame very carefully. Believe me, after having done so, you will gain lots of new information on real plans and situation of the company. Of course, these techniques can obviously be used for assessing political decisions as well. Of course the intuitive freaks don’t really need this skill. They already trust their feeling when making decisions and know it already from the beginning that Pete was lying and bluffing during the press conference. But for ‘average gifted people’ it is a vital question: how serious certain information is? Do you really believe in this merger? Does this CFO believe his own statements? Don’t forget: the really valuable information can be found not only in official press releases with all the unpronounceable words but simply on the faces of the decision makers or press officers of the company. I once experienced such a session with expert guidance. For two minutes she asked me a number of quite confrontational personal questions in front of the camera. That’s all. After that, her extended analysis on ‘me’’ followed, frame by frame. Believe me, it has turned out to be a very useful experience, especially if you want to gain information on the real you. Do you want to know a company more closely, use all information wisely !